I loved this book! As a generally skeptical person I often read statistics about Christians, church, America and think "that statistic does not mirror my experience whatsoever". The author of this book felt the same way, so he went out and analyzed tons of statistics and the studies that produced them. What he discovered was both surprising and encouraging in many ways. Read this book! 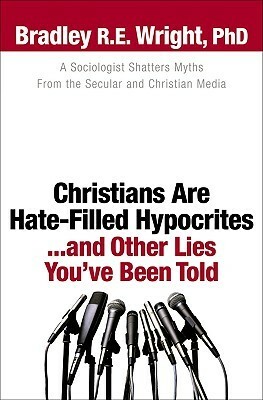 Sign into Goodreads to see if any of your friends have read Christians Are Hate-Filled Hypocrites...and Other Lies You've Been Told.